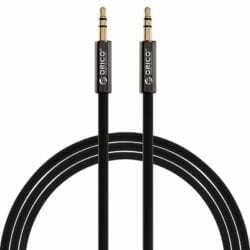 Enjoy your music on the devices you want to play it on with the sleek Orico 3.5mm AUX Cable. 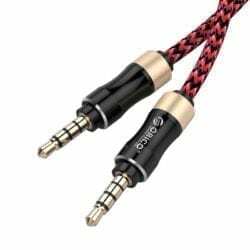 This AUX cable is durable with an aluminium shell and connectivity is ensured with its gilded connectors. 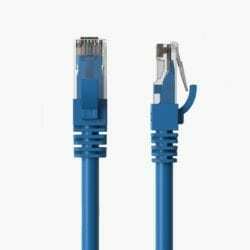 Connect your LAN/WAN devices with the high quality Orico 1m CAT6 Network Cable. Equipped with gold-plated RJ45 connector pins. Allowing for high-speeds of up to 1000Mbps. Making this cable perfect for home and office usage. Connect your LAN/WAN devices with the high quality Orico 3m CAT6 Network Cable. Equipped with gold-plated RJ45 connector pins. Allowing for high-speeds of up to 1000Mbps. Making this cable perfect for home and office usage. 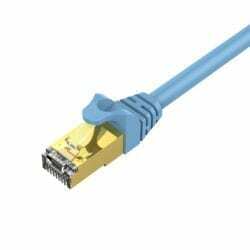 Connect your LAN/WAN devices with the high quality Orico 5m CAT6 Network Cable. Equipped with gold-plated RJ45 connector pins. Allowing for high-speeds of up to 1000Mbps. 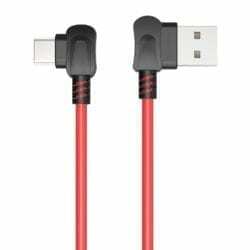 Making this cable perfect for home and office usage. 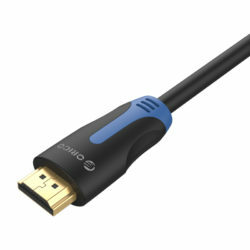 Enjoy your media in HD with the Orico 2m High Speed HDMI cable. This cable utilises HDMI 1.4 which allows for resolutions of up to 4k at 30hz and 1080p at 120hz. Its gold plated connectors ensure a stable connection throughout.